 This video series takes you on a visual tour of the WABDR trail system. There's no better way to explore this state than to ride the Washington Backcountry Discovery Route. Interested in riding the Washington Backcountry Discovery Route (WABDR) someday? Even if you aren’t able to ride it soon, you can still check out what the route looks like in this WABDR highlight video series. 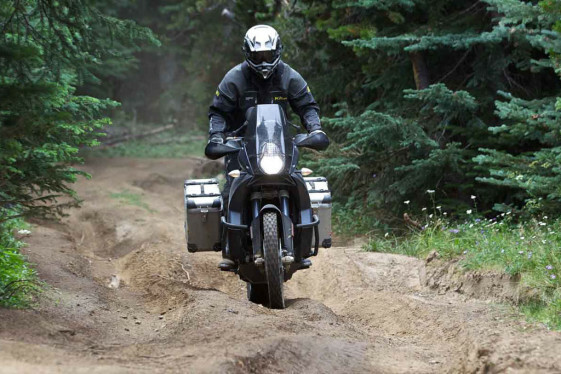 The WABDR is a scenic off-road route for Adventure Motorcycles that runs from the Northern Oregon border to Canada across the state of Washington. The total route is 575 miles of mostly off-road riding through some of the most beautiful terrain Washington has to offer. The Washington Backcountry Discovery Route videos take you through each section on the route, from start to finish, revealing the amazing beauty of the Cascade Mountains and arid landscapes of Eastern Washington. As you watch, you can analyze the difficulty of the terrain and decide if this is the type of tour you’d like to experience. You can decide which sections look most appealing if you are considering completing only parts of the trail. It’s also nice to get a feel for the scenery and vegetation in the State of Washington. It typically takes five to six days to complete the journey, depending on your speed and traveling conditions. The route allows you to choose from difficult or hard sections and there are great camping sites or hotel options along the way. This series takes you on a tour of the WABDR traveling South to North, from Oregon to the Canadian border.